In October 2018, Arty Bees celebrated 30 years of trading. There was cake! Bob, a retired accountant (amongst many other things), bought a small bookshop in Cuba St in 1988. Six months later he purchased a second shop in Cambridge Terrace and changed the name to Arty Bee's Bookshop. This was the start of a family business now run by his daughter, Pippa. What began as a retirement hobby has become an icon in the Wellington book scene - even publishing a couple of books and reaching a peak of 3 kilometres of bookshelves! Bob died peacefully on Thursday, 2 March 2017, at the age of 93. He is still remembered fondly by customers and staff. 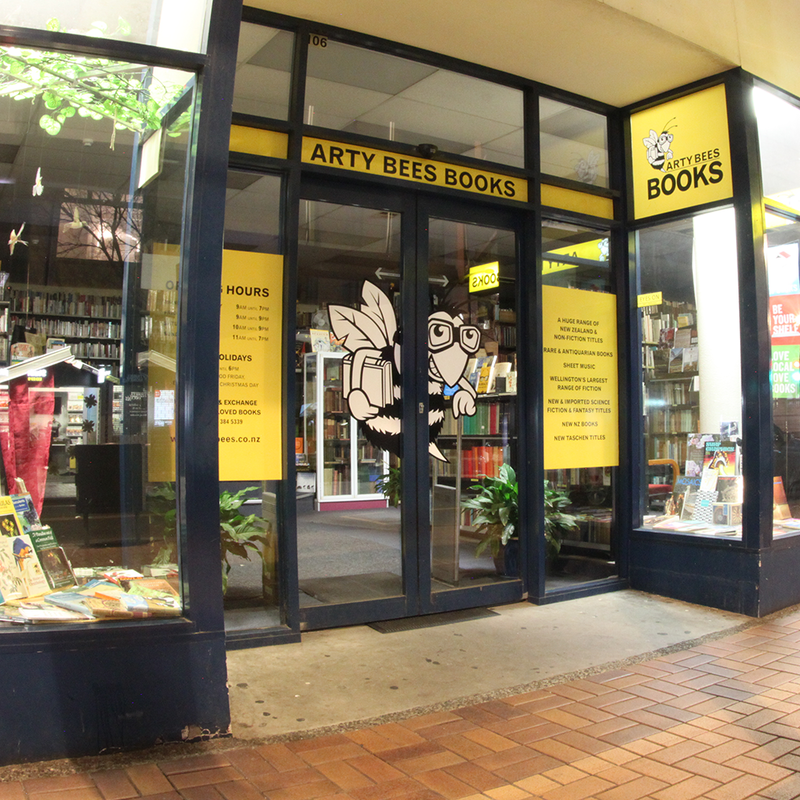 Arty Bees Books is a family-run, independent bookstore nestled in the heart of Wellington City, Aotearoa, New Zealand. Started in 1988 by Bob Burch, a 60 year old 'redundant' worker and short time flying instructor during WWII, Arty Bees Books grew, split then morphed into the city's largest retailer of pre-loved, new and rare books. On its shelves sit over 90,000 titles ranging from the obvious to the outright bizarre with a specialized interest in the areas of Science Fiction and Fantasy, New Zealand Fiction and Non-Fiction, and the Rare and Antiquarian. "As a business whose core purpose is to recycle pre-loved items, we know that we are not just filling up the world with more consumer junk. Books have a life of their own that we think transcends the clutter of the modern lifestyle." Now Arty Bees Books, in its latest incarnation, offers an ever-increasing lot of its books for sale online! Browse the Catalogues or send a Book Query if what you're searching for isn't in the online database yet. You can also add your book to the Want's List (a database of titles that customers are searching for) in case the books come in at a later date. Here's what you just did by shopping locally with us! We don’t just sell books here at Arty Bees! We support various community projects through donations and advertising. Here are some of the organisations we support. This is where you come in! Any books we can’t use in the shop regularly get picked up by these organisations for their annual bookfairs. Other groups who sometimes use donated books for fundraising stalls are Opportunity for Animals and Taoist Tai Chi Society of New Zealand and local school fairs. Here are some of the events we support.